Just a quick post on something that happened Tuesday evening. Of course, Tim had the Blightning. I scooped in frustration, even though I was still at something like 14 life. I perceived myself to be at a disadvantage from the get-go, and having thought I had overcome this “adversity” and stabilized, I let myself think that Tim’s Blightning meant more than it actually did. Joe remarked, “You scoop too easily,” and I knew he was onto something. I realize that I tend to think cards are more powerful than they really are. This applies to both my own cards and the cards of my opponent. 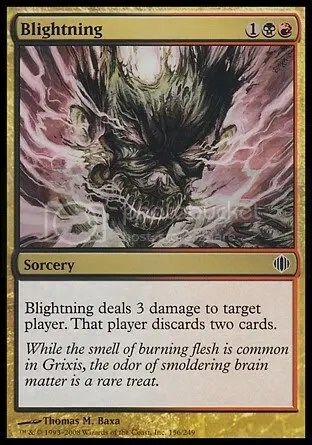 I’m sure you’ve all been there: a deck that seems disgustingly good in theory turns out to be a bit underwhelming in actual gameplay. Someone resolves a Cruel Ultimatum against you and you automatically think the game is over. 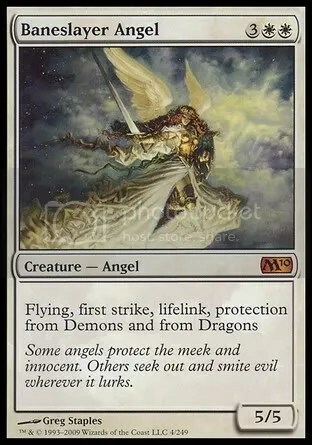 I’ve become so accustomed to this line of thinking, “_____ wrecks this deck, if it resolves I lose,” that I’ve put myself in a mindset where I will rarely even attempt to fight back. So much so, in fact, that in at least one case I projected this mindset onto my opponent! No, Joe didn’t win that game (he scooped maybe two turns later), but at least he gave it a shot. 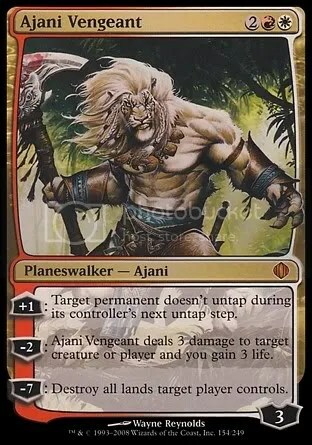 A resolved Blightning is far easier to overcome than Ajani Vengeant’s ultimate, and even though I might have eventually lost the game vs Tim’s Jund deck, had I not scooped immediately I at least would have given myself the chance to win, or to learn from the experience. Giving up at the first sign of difficulty is a sure way to impede your growth as a player. This goes for everything, not just Magic. What would have happened if you’d given up learning to ride a bicycle after the first time you fell off? Fighting through adversity is what helps us develop our brains, so that next time we face a similar predicament, our minds know how to handle it—or at least we can entertain the possibility of success rather than assuming unavoidable defeat.